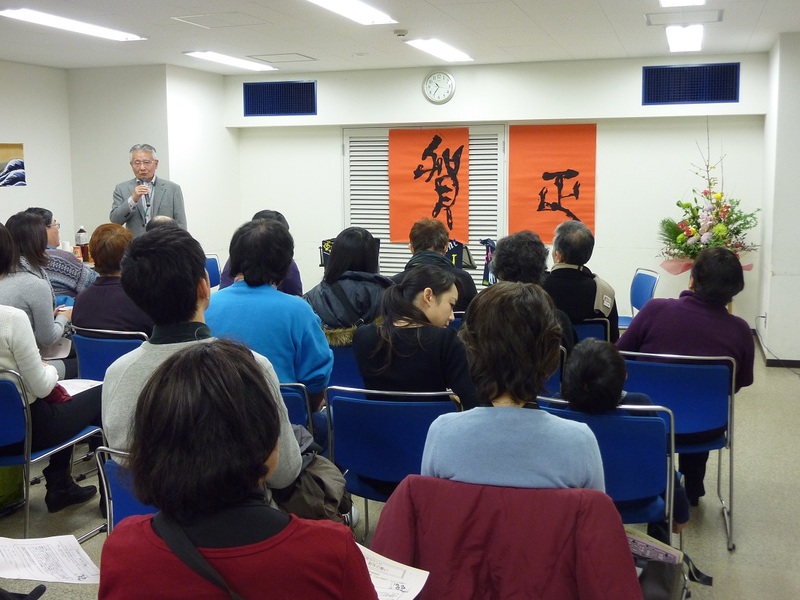 We had annual New Year Gathering. 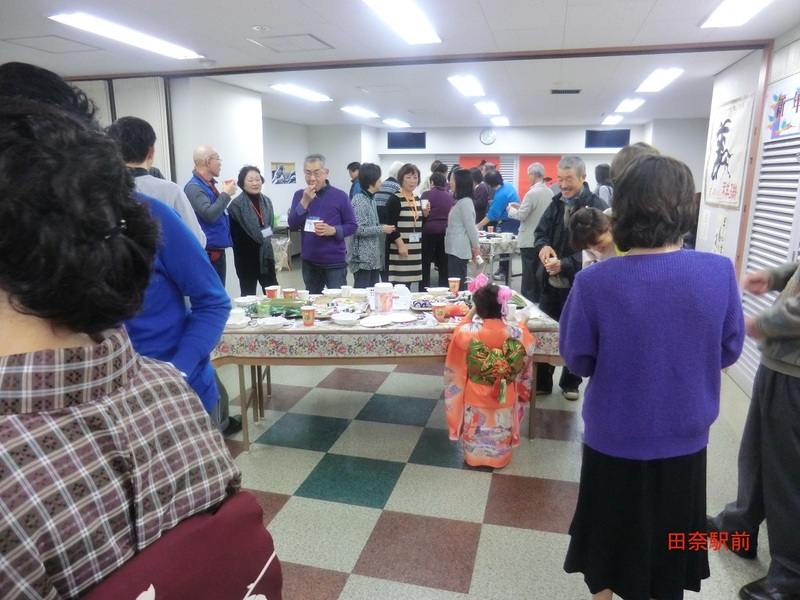 We had annual New Year Gathering 2015 on January 11th (Sunday) to celebrate the beginning of the year. 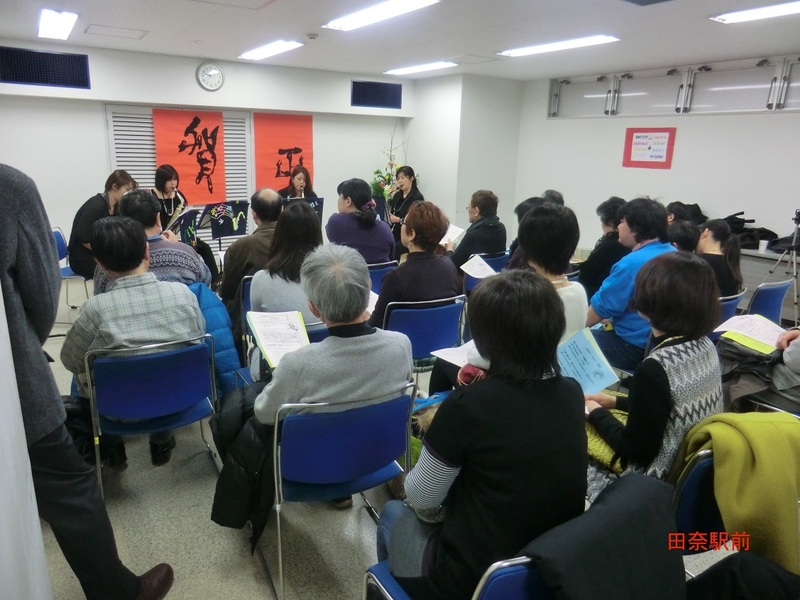 Even though it was in the middle of three consecutive holidays, 87 people including staffs got together enjoying the mild weather. 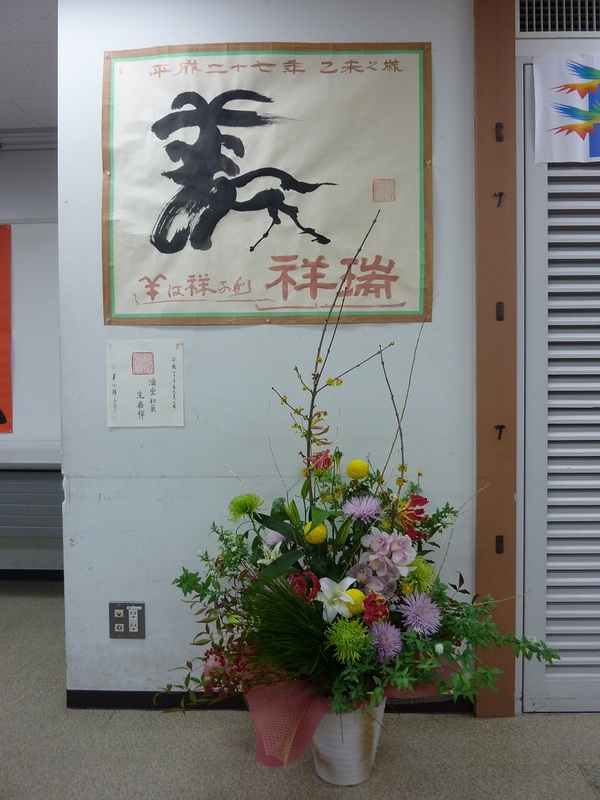 A beautiful calligraphy of kanji character “Sheep”, flora arts, and New Year toys such as battledores and tops were displayed. A Chinese young lady and her daughter joined in Japanese kimono, which added the gathering flowery loveliness. 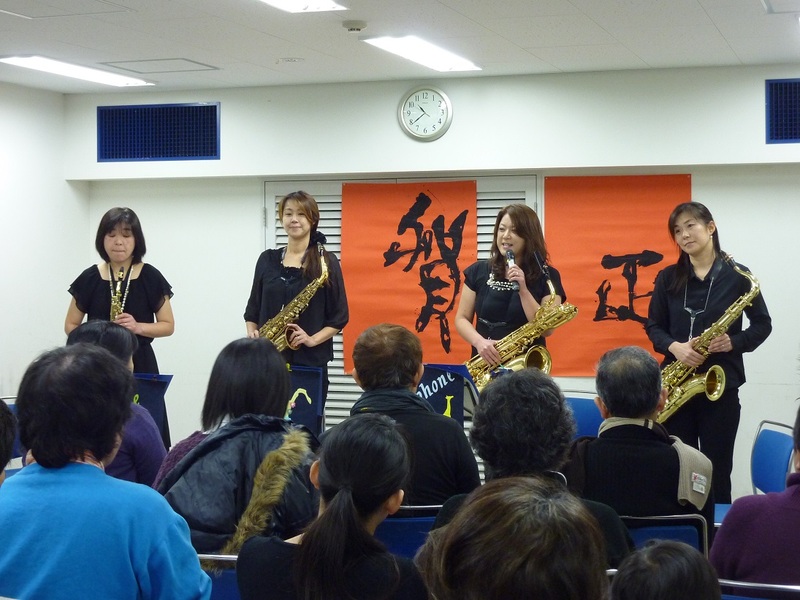 As a mini event, we enjoyed the performance of Libre Saxophone Quartet consisted of young child raising mothers. 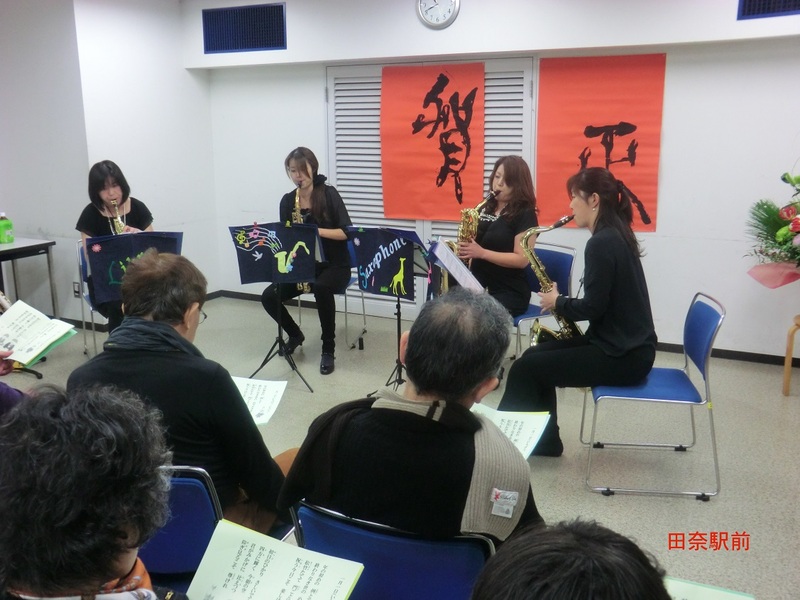 The performance began with the famous classical medley by Mozart and ended with “Let it go” from the big hit, “Frozen”. We all gave a big hand to the impressive performance. 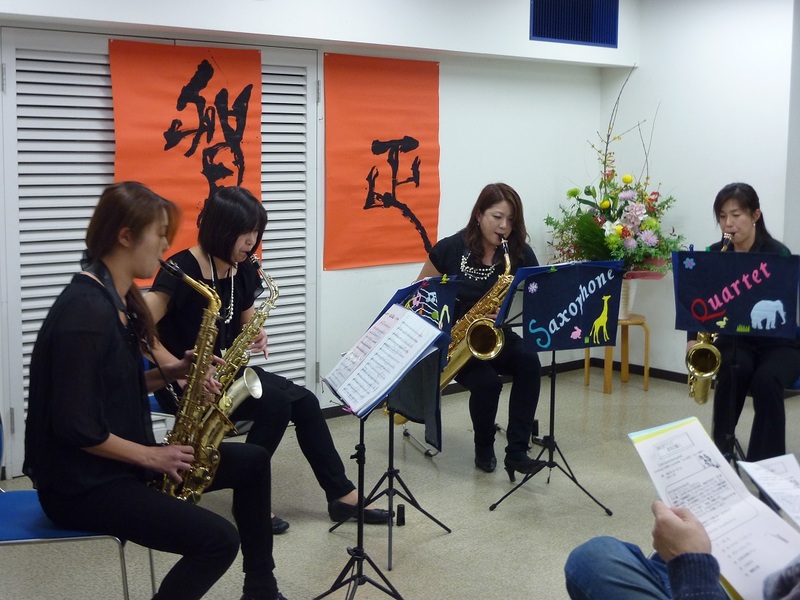 We also sang “Furusato” together accompanied by saxophones. 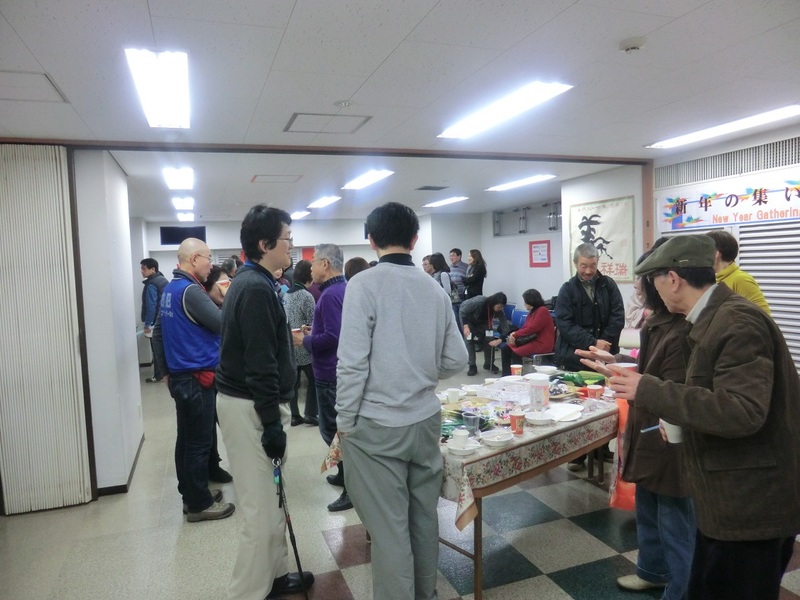 After the performance, we enjoyed endless conversation with each other over drinks and snacks as usual.